I am 44 years old and 30 weeks and 2 days pregnant with my first child, a little boy. I will be 45 years old when he is born. I was not my intention to do it this late, but I did not meet my husband until age 39 and we married at age 41 (he was 10 days shy of his 44th birthday). We decided to wait a year before trying to conceive just to settle in as a married couple, get to know each other, and to save enough to get a house. After that we tried and were unsuccessful for 1 1/2 years. I was tested and he was tested. My tests came back normal, but his sperm count results were slightly low. Although he has daughter (now 20 years old) from a previous marriage, they think it was due to a large varicose vein on one of his testicles - plus the blood pressure meds he is now taking. His doctor wanted to do surgery but we said no, and decided that if God did not give us a baby of our own within the next few months then we would just adopt. We did not want to do IVF [in vitro fertilization] since it is so costly (neither of our insurances covers it). Plus we have moral issues with it. In April of 2006 I discovered I was pregnant. We were overjoyed and told everyone. Then at the end of the eighth week I started spotting. I ended up having a miscarriage at week nine due to a blighted ovum, which was one of the most painful things (more emotional than physical) I have ever experienced in my adult life. The most painful was having to tell everyone since we told everyone we knew about the pregnancy. Some were sympathetic and supportive but others said some well meaning but insensitive things, and I was often reminded on my age and told not to get my hopes up to high. One woman even had the audacity to say I told you so. I did not have a D+C, and bled for 2 1/2 weeks. After that I went through two dry weeks and had another very strange, very heavy 3 day period. Then in August 2006, I found out I was pregnant again. Since I was already seven weeks along by the time I got to the Ob/gyn it must have happened in July which was less than 2 months after the miscarriage. Now we are at 7.5 months and, according to the ultrasound, the baby is perfectly good and healthy. All other tests checked out normal also. I would love to do a home birth but hubby is against it, so we have just finished Bradley natural birth classes, have turned in a birth plan. 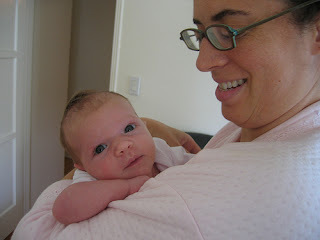 If all goes well and there are no complications, we plan to do a hospital birth au natural - with no drugs. -- This book is just what you need if you are having trouble getting pregnant. Dana's book provides all the well-meaning advice you could find. But do not be fooled by the kind manner in which she presents her advice, because this book is filled with the fruitage of many months of careful research. Dana begins with basics of explaining what ovulation is. This is the most crucial aspect of understanding how the ovulation diet works. Once the foundation has been laid, Dana next explains what Cervical Mucus is, and its role in helping you conceive the child you have always wanted. Dana even explains the foods that will help you become more fertile. Best of all, she presents a few of the methods that have been tried and proven to help women get pregnant.